When we think of American royalty, our minds are likely to run to the Kennedy family. One president, two brothers who ought to have been, and a widow who married a colorful Greek tycoon: it seems the stuff of fairy tales. Now, imagine a school chum of that president (both at Choate and Harvard) who wrote musicals, one said to be the Commander-in-Chief’s favorite, and another in which he lampooned the mega-rich Greek. 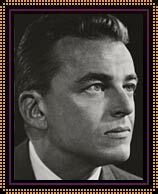 That would be the closest musical comedy history is likely to come to royalty, and that would be Alan Jay Lerner, who was born 100 years ago today. There used to be a department store in every American city called Lerner, and, yes, that was Alan’s uncle. So, he was well-off enough that it didn’t matter that his first success, of any sort, premiered in his 30thyear. This was that much-derided bit of hokum, Brigadoon, but don’t be too hasty to dismiss this odd romantic fantasy. People today don’t realize it’s about something that was very relevant to much of its audience in the late 40s. Soldiers returned from Europe and felt a sense of alienation. They had experiences other Americans couldn’t relate to, and stateside life seemed oddly colorless. So, two veterans seize on the chance to grab rifles and go on a hunting trip in Scotland, a safe simulacrum of what they’d done just a few years before. Tommy meets Fiona and their connection is such that he promptly dumps his New York fiancée. And, as the rules of the fantasy prescribe, he must abandon 20thcentury America altogether. How’s that for a solution for alienation? My great uncle Israel was Lerner’s accountant, but, more important to our story, he was also Lerner’s neighbor. Rockland County in New York State, mid-century, attracted all sorts of Broadway luminaries. At parties you might see Rex Harrison and Lilli Palmer, or Kurt Weill and Lotte Lenya, or Burgess Meredith who’d had one of his first leads in a wonderful play by Maxwell Anderson, who lived there, too. Anderson had given a series of lectures on playwriting and Lerner, more than anyone, applied these lessons to the writing of musicals. Film musicals, too: Lerner won Oscars for his screenplays for An American In Paris and Gigi. I like to imagine that much creativity was sparked by the intermingling of all these Broadway folks. Both Lerner and Anderson wrote musicals with Kurt Weill, and Weill asked Lerner to translate Threepenny Opera into English. Idly wondering who could be cast, he was surprised to hear Weill suggest Rex Harrison, as he never knew him to do a musical. Later, Lerner suggested Harrison for My Fair Lady and everyone seemed similarly surprised. “Does he sing?” “Well, Kurt Weill said he does” and, before you know it, a man who couldn’t hold a tune became Henry Higgins, indelibly. The success of My Fair Lady seems to have made Lerner aware that writing for the rich and/or royal was his strongest suit. His earlier cowboy musical, Paint Your Wagon, wasn’t really the street where he lived – it wasn’t even a paved one. But Coco Chanel, and Regency rakes, kings, presidents, and folks who summer at Trouville – these were his baguette and butter. The effort it took to create his next Broadway show nearly killed everyone around him. In its pre-Broadway try-out, Camelot ran more than four hours, necessitating expensive overtime payments to the crew. The costume designer died of a heart attack. Composer Frederick Loewe had a heart attack, and his doctor advised him to give up writing musicals. The director also was hospitalized with a heart attack, leading Lerner to emerge as a candidate for replacement director, leading Loewe to high dudgeon. Opening night reviews were not particularly good, but stars Julie Andrews and Richard Burton did some songs on The Ed Sullivan Show and the next morning ticket-buyers were lined up around the block. If you think, as I do, that Loewe’s doctor did the world a great disservice by telling him not to write, well, he’s not the worst doctor in the collaborative team’s life. Lerner was a devotee of the famous Dr. Feelgood, Max Jacobson, who injected patients full of mind-altering amphetamines. Under this influence, Lerner created On a Clear Day You Can See Forever but never could figure out how to end it. It’s got E.S.P. and reincarnation, and, like Brigadoon, characters who love each other but live in completely different centuries. And while I’m telling you that this is one crazy show, the creation of a man not in his right mind, I’m going to recommend listening to the original cast album, starring the late great Barbara Harris. It is among the most delightful listening experiences one can have, due in no small part to the brilliance of Lerner’s lyrics. I’ll let you in on a little secret. Listen carefully. Music generally makes a lot of use of repeated phrases. The ear comes to expect to hear them. Without thinking about it, we anticipate snatches of music to take up a certain amount of time. But what if they don’t? What happens if each iteration goes by quicker than the last, either by speeding up, or, even trickier – removing notes? That jars us in a sort of propulsion. And that can be very, very exciting. 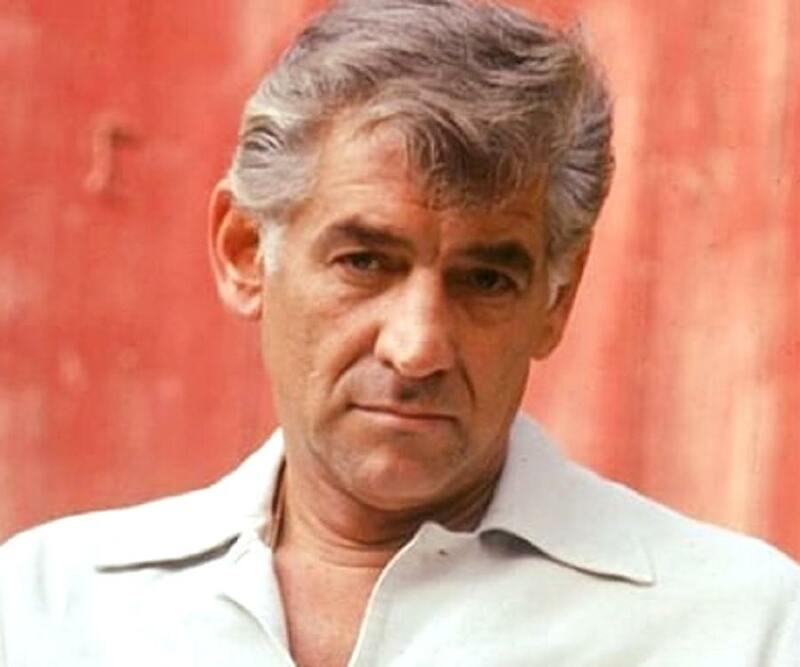 So, Leonard Bernstein. Born a hundred years ago today, the biggest celebrity in American music. The secret I just referred to is exemplified in our visceral reaction to his overture to Candide, which is likely the most popular orchestral piece written in the last century. The show that followed, not so much. (I’m closely related to one of its investors.) And yet theatre people are so tantalized by that overture, as well as two Barbara Cook numbers on the original cast album, Glitter and Be Gay and Make Our Garden Grow, the spoof of opera conventions gets revived and revised all the time. They hear this fantastic music, and assume It Must Be Good. But there’s a problem with having a central figure so stupid, he does very little; he’s merely buffeted by fate. And that wears out its welcome. In Bernstein’s earlier musicals, bright characters run all over New York in hot pursuit of an elusive goal and we’re fully invested in the effort. Those are the Town shows: On the Town and Wonderful Town. The first was based on Jerome Robbins’ excellent ballet, Fancy Free, and he and Lenny faced the unusual situation of telling the same story they’d just told, in a different medium, with completely different choreography and music. The second Town was written extremely quickly. Producers had a contract with movie star Rosalind Russell, so needed to open at a certain time. When they decided they didn’t like the score and fired the original songwriters, Bernstein carved a few weeks out of his busy conducting regime and pinch-hit it out of the park. Here, naturally, I’m focusing on Broadway musicals. But when the world thinks of Leonard Bernstein, two unrelated images come to mind. Beyond his composing, Bernstein was America’s first (and only?) superstar at the podium. His conducting of classical music, usually not his own, was admired and revered by a wide swath of Americans in a way that’s hard to understand today. Picture a nation doing something extraordinary on the world stage. That would be World War Two and the support we gave to ravaged countries in its wake. The people of the United States felt important, responsible for the fate of the world, like they never had before. And, emotionally, there was a need for a cultural component. We’d exported movies, but now it seemed time to excel in what was considered High Art. On the crest of that wave was a lovable conductor whose enthusiasm for classical music affected all who listened. The other image is Bernstein on black-and-white television, talking to the camera in the black, with wisps of smoke from the cigarette in his hand providing the only visual interest beyond his face. The man had more than a few things to say about music – classical, of course, but also jazz and, yes, musical theatre. He revealed the secret sauce that made Bach of Mahler great and, amazingly, that was the highest rated television program of its time. The entire nation was captivated; he was just that compelling. So we have to talk about what I call The Head Smite Heard Around the World. A playwright and a songwriter are at a cocktail party. The younger man, who’s never had a production or recording, asks that dramatist what he’s working on. Turns out he’s working with Leonard Bernstein on another musical set in New York. And here he smites his forehead. “And I compose, too.” This was said a little huffily, since he’d won a college prize that had led to post-graduate study with a major American avant garde composer. And who could say no to that? Or continue to be insulted? A chance to meet The Most Fascinating Fellow On Earth trumps all. 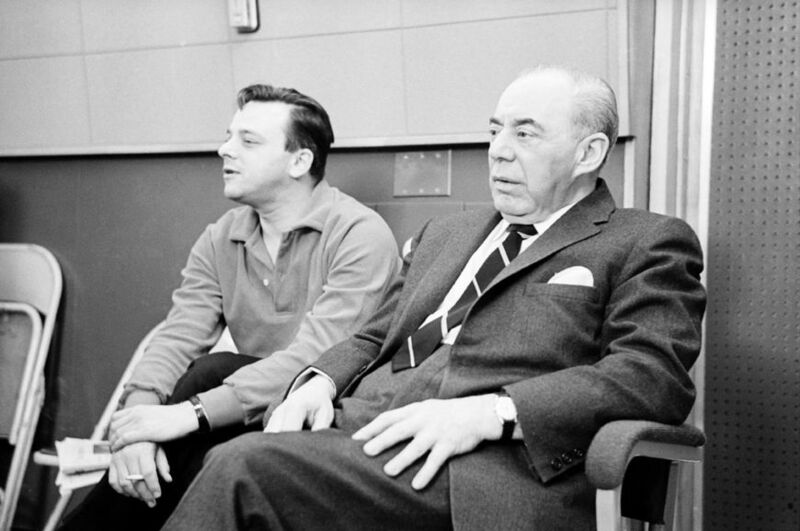 We’ll never know what was said at that first meeting, but it led to Stephen Sondheim joining Arthur Laurents and Leonard Bernstein as lyricist of West Side Story. Originally, the idea was to update Romeo and Juliet with a Christian boy and a Jewish girl and call it East Side Story (!) but Lenny, fascinated by then-newly exposed Latin jazz, decided to switch Sides and make her Puerto Rican. And that meant the musical would relate, as none had before, to contemporary news headlines about frightening gang violence. The transformative passion of Tony and Maria transcends their harsh surroundings. Something beautiful grows out of ugliness. In music, the tritone is a notoriously ugly interval. Using it in the middle ages could get you burned at the stake, because it was a sign you’d consorted with the devil. But what if you used its exquisite tension, lingered for a moment, and then resolved it upwards. Beauty out of chaos. Sing it with me: MA-RI-A. 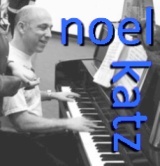 Difficult to sing, but an intellectual idea metamorphosizes into an emotional expression. Those three notes also start the song, Cool, and, in a different order, are the familiar gang’s whistle. Bernstein was famously liberal, and a party he once hosted became widely derided along the lines of “Aren’t those lefties comically naïve?” But here’s what I wonder: Due, in no small part, to Lenny’s brilliance, New York began to think of itself as a world culture capital and that meant it needed a performing arts center. So, Bernstein and the New York Philharmonic play an outdoor concert at the groundbreaking for what became Lincoln Center. But that meant bulldozers came to raze the slums of the West 60s, displacing a whole lot of low-income people: how’d he feel? In fact, just before they came, a movie crew led by Jerome Robbins danced in the then-empty streets. The movie was West Side Story. That Oscar-winner popularized the score that hadn’t quite caught on during its Broadway run. One can deduce from this that tunes Bernstein wrote were ahead of their time, ahead of the public. The Freed Unit, at MGM, the great taste-makers of the time, considered his On the Town score too sophisticated for the movie-going public, and replaced all but two numbers. Later this month, I’ll celebrate the centenaries of two of the greatest musical theatre writers. But, today, I celebrate myself. And I realize that’s quite a let-down. You know and love the songs and shows of the August birthday boys, and I’ll share some ideas about what makes them work. You’re less aware of my songs and shows, so if I detail what went into them, that lack of familiarity becomes a problem. And I never want to use this page to brag. It seems so unseemly. But, in contemplating what to write about today, I’ve a few accomplishments that refuse to be ignored. * This blog passed the 40,000-visitor mark. I don’t know how meaningful that is. It’s just a number. And one never knows why people click to this blog. It could be to stare at a picture of Fantasia Barrino cleavage. Certain surfers search for specific images, and sometimes clicking on pics brings them here. I don’t kid myself that the forty-grand were all, or even mostly, musical writers. * I successfully delivered my Subjective History of Musical Theatre to the general public for the first time. Here’s why I make the distinction about the general public: For eighteen years or so, my one-man show has been put in front of theatre students. They paid tuition for two years, and get a lot of education in various forms. On some seemingly random days, they got my storytelling marathon, illustrated with songs and bad chalkboard drawings – a set of tall tales and jokes, tragedies and innovations that make up the long history of our genre. The question in my mind was whether this thing would go over well with people who aren’t in a school setting. The audience I’m accustomed to already knew me as a musical director bursting with opinions about musicals. That engendered a built-in interest in what I might have to say about Gilbert & Sullivan, Rodgers & Hart and all the rest. This month, a crowd ranging in age from 16 to 66 came, saw, had a great time, applauded. It’s amazing to me that so many took the leap of faith to come see. And I got to be in my element, for eight hours, in a room with a piano, talking about theatre, interacting with folks who invested some time and money in what I had to say. In a spiffy theatre complex in Beverly Hills, I introduced some principles of musical theatre performance to differently-abled young people. This was a bit of an adventure, as I had no special training or preparation on how to deal with them all. But the room was full of helpers, skilled and experienced, ready to handle anything I couldn’t. And I’m smiling at that word, “helpers.” Were they there to help them or there to help me? Is anything really “almost done?” To me, “almost done” is the final dress rehearsal before the paying public comes. Rewriting is constant and I’m plagued with questions like “Is this really better than what we had before?” Songs are such a powerful form of expression, every new song that goes in to a script is likely to require many adjustments to that script. One must keep an eye on how the audience is going to take it all in. It’s a common problem for something to be expressed in dialogue, and then a song is written to express that thing, and the first expression gets left in the script; so, the audience hears the same thing twice. Each of these seven songs carries a lot of narrative weight. My collaborator wanted them written, but they always lead to his doing more work. And one of them has already been cut. While I’ve written seven new songs, only six of them are going to be in the new draft. (Really, I hope five, since one might replace a song I love.) But all I mean to acknowledge here is that it’s been a very productive period. That’s more than a song per week. Summer tends to be a fecund time of year for me. So much of On the Brink was created in the months right before our first rehearsal that autumn. The bulk of Murder at the Savoy was written over summer vacation before my senior year at college. Not the title, though; it was then called Pulley of the Yard. On The Pirate Captains, I had a deadline. That was a commission where they didn’t need it good, they needed it fast. And so it was. I guess this all conjures up an image of your faithful reporter escaping the blazing sun to hide inside under a fan, flinging notes at a page. Yes, that’s about it. The sweat of actually writing these things isn’t my favorite part of the process. I prefer Having Written. I like an audience reacting to my songs and shows for the first time. These new songs, I feel, constitute a first draft, and from now until opening night, I’m beset with something akin to a low-level fever. It’s the urge to polish, to fix things through writing. If there’s a way to make this better, my pen is at the ready. The book writer may say he can make it all work wonderfully with adjustments to the script. The director will have staging ideas that, she thinks, can put each number across. The performers will give their all, and we’re reliant on them, the faces the audience sees. Looking at this list of recently-written numbers, I don’t feel any of them are ready for the public. But they’re ready to share with collaborators, and, together, we’ll fashion an effective entertainment. Today, I’ll merely toast the accomplishment of getting so many first drafts done. One of four achievements this month, but here my glass is raised the highest of them all. Today, for the first time, I’m unleashing my Subjective History of Musical Theatre on the public. This is the same fascinating storytelling session I’m used to presenting to young adults in a theatre school. With a new kind of audience, I don’t know exactly what to expect. It’s always been a dialogue in which the knowledge of the students (or lack thereof) comes into play. Here on this page, I always imagine I’m addressing musical writers. And it should be obvious to you how important it is to know the history of our beloved genre, what’s gone before. A friend was just telling me about the Bryan Adams score for a new Broadway musical, and my mind leaps to an assumption that Adams, like most rock stars, doesn’t know the repertory. Certainly, one can succeed fabulously in the rock world without knowing the first thing about how songs tell a story on stage. So it drives me a little crazy when pop-meisters “slum” in musical theatre. The task of entertaining an audience in concerts, in music videos, or on recordings is completely different than engaging a live audience in a theatre with a story. But, of course, they’d know that if only they knew the pitiful history of rockers trying to conquer Broadway. But they don’t know that history, usually. Because why would they? A lot of musical fans are beside themselves with excitement about the recent announcement of a cable television mini-series about Gwen Verdon and Bob Fosse which features Lin-Manuel Miranda’s involvement. Now, I’m not one to enthuse about something that’s not yet made, especially television. But it’s a reminder that Miranda knows and practically reveres musical theatre history. With all the things he could choose to do these days, he’s helping tell an important bit our story. Most obviously, he has a particular genius for presenting history in a way that engages audiences. And, as long as I’m stating the obvious, Hamilton is a musical about the genesis of America that’s full of references to other musicals. A bit less apparent – at least to me – is that it draws all sorts of parallels to the history of hip-hop. You and me, we’re more likely to catch the nods to Camelot and South Pacific, and might be reminded of Sondheim’s favorite Sondheim song, Someone In a Tree, from his historical musical Pacific Overtures, where we hear various perspectives from folks who weren’t in The Room Where It Happened. That was no accident; Miranda knows the show. And this makes me think of the common desire to write something that hasn’t been done before. Well, if you don’t know the shows that have been done, how would you know? This summer, in Central Park, there’s Shaina Taub’s musical of Twelfth Night. And my mind rushes to all sorts of precedents: the early rock musical smash, Your Own Thing, the short-lived Music Is, the Duke Ellington jukebox, Play On, the lovely Illyria. And from this two things are clear: I know of a lot of shows and EVERYBODY adapts Twelfth Night. Something that fascinates me is the way writers react to the stuff they see. When Richard Rodgers was young, shows were stilted, not very jazzy, didn’t use the vernacular. And so he and Lorenz Hart created a new sort of musical comedy that was thoroughly modern. And, less than two decades later, Rodgers teamed with Oscar Hammerstein to revolutionize the form. It was as if Rodgers was rejecting Rodgers, which is quite a feat. Those scores to Hart lyrics are wonderful, but utterly different than the ones with Hammerstein words the world knows and loves. And it’s not merely a matter of style; the goals are different. Sometimes authors maintain that The Gentleman Is a Dope is the Rodgers and Hammerstein song most like a Rodgers and Hart song. Really? Was it self-consciously witty? Abound in tricky rhymes? Was it trying to be a radio hit? Of course not. Hammerstein was writing for a character in a situation, and the frustrated nurse expresses herself in ways that remind some of Hart’s cynicism. Rodgers provided the music to so many ground-breaking shows, he’s the hero of my narrative. But The King and I is the last of his shows to do something extraordinarily different than all that had gone before. Its choreographer, Jerome Robbins, took the baton and became the great change-maker of the next thirteen years. His Broadway career ended with a trio of masterpieces: West Side Story, Gypsy, and Fiddler on the Roof (the last of which is currently off-Broadway in some language few speak!). The theatre innovator most people today recognize as such, Stephen Sondheim, cut his teeth writing lyrics to two of those shows. So, putting it together, Rodgers -> Robbins -> Sondheim -> Miranda, who translated lyrics for the bilingual Broadway revival of West Side Story. Thus, there’s a chain of innovators going back nearly 100 years. Each time, the younger acquires some wisdom from the older, though Sondheim would say he learned more from Hammerstein and that’s true. But the point is, none of these milestones in the musical’s development emerged in a vacuum. All the writers knew a great deal about what had come before. This week, in L.A., you can attend my idiosyncratic history presentation. It’s going to get you thinking about where musical theatre has been, how it evolved, what it is today. And you can sit there and be thoroughly entertained. Or, you can take this knowledge and apply it to the things you write. The next chapter of the history, dear writer, is yours. You are currently browsing the There's Gotta Be a Song blog archives for August, 2018.